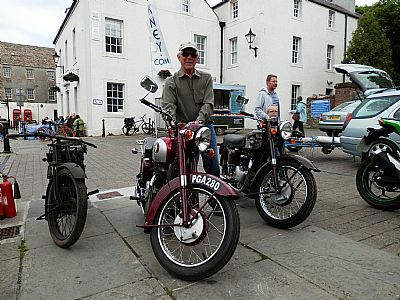 Orkney Vintage Club held the second Motorbike Gathering in Broad Street, Kirkwall on the afternoon of Saturday 18th June 2016. The weather was good and there was a good turnout og bikes both old and new. The oldest was a 1927 AJS and some of the bikes were nearly new.